Canberra kelpie fancier and author JT Clay has a new book out! It’s the old story. Girl meets boy. Girl loses boy. Zombies attack. Q, a trainee kindergarten teacher and martial arts expert, wants to woo beautiful vegan, Rabbit, but doesn’t know how. Her luck turns during the zombie outbreak. She teaches Rabbit and his hippie friends how to make war, not love, and does her best to save him from the living dead. But can she defeat evil ex-girlfriend, Pious Kate? And can love survive the end of the world? It’s not the first zombie novel, but that doesn’t really mean anything. It may perform a good twist on the conventions of the genre. 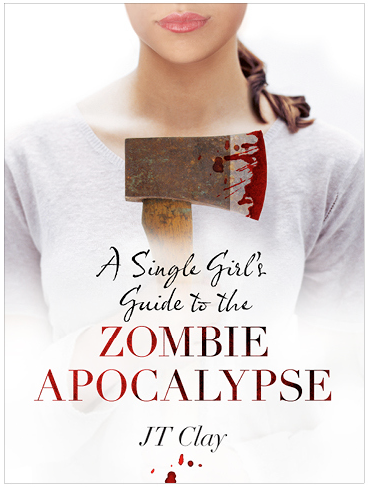 Wow a zombie book… what a new and exciting genre…. Zombies, not just another eating disorder.